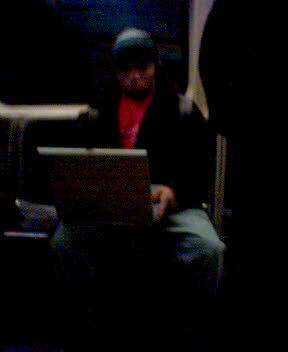 I just read about a guy who got mugged after using a laptop on the t. And now here’s a guy using one as a walkman. he needs a REAL walkman. hey mister, they are only 8.99 at walgreen's.